Anyang ([a.njaŋ]) is a city in Gyeonggi Province, South Korea. With a population of approximately 600,000 persons, it is the 20th largest city in South Korea. It is a satellite city of Seoul and located approximately 21 km south of Seoul, and 19 km north of Suwon. It is connected to Seoul via the Seoul Subway Line 1 and Line 4. The City motto of Anyang is "Livable city, Proud citizens". City symbols are 'Podong-i' a grape mascot, Forsythia (flower), Ginkgo (tree), and Eagle. The 'Emblem of Anyang' consists of several different meanings. The blue color represents peace and stable life of its citizens, the white color represents "purity of the white clad folk", the white circle represents "shining sun" and "citizen unity", the interweaving lines represent "industrial and scientific development", "famous mountains around the city" and "tourist resort". Together, the four different symbols mean modern development and cultural exchange. The current mayor of Anyang is Lee Phil Woon. Anyang is divided into two halves for administrative purposes: the Manan district to the west and Dongan district to the east. The Manan district is an old and original downtown area centered on Anyang Station. It is dominated by a shopping area with outdoor markets, known as "ilbeonga" (first street). The Dongan district is a new, wealthy suburb of Pyeongchon. The tallest building in Anyang is the Acro Tower, which was completed in April 2007. It is a twin-tower office building in the Dongan district, across the street from Anyang City Hall. Anyang is a convenient transportation center between Seoul and other major cities across the country. Anyang spans 58.46 square kilometres (22.57 sq mi). Forest and fields constitute 30.15 km2 (11.64 sq mi), urban development constitutes 11.51 km2, dry fields constitute 1.8 km2, rice paddies constitutes 1.25 km2, and other land use constitutes 13.76 km2 (5.31 sq mi). Anyang is surrounded by mountains on all four sides. These mountains are Gwanak Mountain and Samsung Mountain to the north, Suri Mountain to the southwest, and Cheongye Mountain and Morak Mountain to the other sides. There are eight streams and rivers in Anyang, with a length of 34 kilometres (21 mi). The main river is Anyang River (one of the four main tributaries of the Han River in Seoul), which is 32.2 km (20.0 mi) long. It has a basin area of 275 km2 (106 sq mi), fed by 21 tributaries. Poem, Anyang (安 养 市) in the Republic of Korea, Gyeonggi Central. Cheonggye Mountain (618 m) along the east, Gwacheon and Uiwang-si, Gunpo-adjacent to the south and southwest to the boundary (475 m) and played Ansan, west, Siheung Gwangmyeong and tangent, Gwanak mountain (629 m) to the north, bordering the Seoul borders, Gwanak-gu, Gasan. The center of the overall elliptical basin topography are low and flat. City Hall, Dongan Gwanyang. Two exemption pursuant to Article 175 of the Local Autonomy Law, local governments, and metropolitan markets nationwide is a member of the City Council. It runs through the center of Anyang city and it is a popular place for people to walk, jog or ride bikes. The river flows through seven cities in Gyeonggi Province. It is although reason why major issues with pollution come up. River banks are often covered up by parking lots, athletic fields, roading problems, and poor sewerage systems of areas in the upper reaches of the river. As a result, the Anyang Stream Watershed Management Committee for Water Quality Improvement had been established to address some of these issues. Between 1974 and 1977, Samduck paper and Samyoung hardboard factories poured industrial waste into the Suam and Samseong Rivers (two of the tributaries of Anyang River). It turned the rivers toxic. The pollution was bad and local residents dug pools to collect the industrial waste. It produced a large damp paper slab at the base of the pools. Local elder women citizens cut out the paper slabs into paper damps blocks that were sold back to Samduck. The remaining residues from the drying process were kept and used as fire fuel by the residents during winter. The "owner of Samduck recently donated his factory ground to the city as a gesture of compensation to the citizens of Anyang". In November 2008, the site reopened as a city park. Anyang is very cold and dry in winter and hot and humid in summer. However, Anyang is cooler than Seoul in summer. The average annual temperature is 12.3c, while the average rainfall is 1,344mm. Around two thirds of Anyang's rainfall occurs during monsoon season between June and August. The name Anyang originates from Anyang mall which was established by Wang-Geon, the First Emperor of the Goryeo dynasty. In the fourth year of Hyōgong- king of Silla (900), Wang-Geon, a general of Gung Ye, was passing through Samsung Mountain to quell the rebellion in the Gumju (Siheung) and Gwaju (Gwacheon) areas. Whilst the troops met an old Buddhist priest named Neungjung and while listening to the priest, Wang-Geon had the idea of building a temple at the location. Anyang itself is a Buddhist term signifying a heavenly land where unimaginable joy and freedom overflow. With most towns and cities in South Korea, Anyang has experienced tremendous urban growth during the past few decades. Anyang was severely battered by warfare during the Korean War. Ten years after it ended, the area's population was still largely rural and its landscape agricultural. It was well known for its grape growing. Anyang was given city status in 1973 and has grown to become the 15th most populated city in the country. It is also becoming a popular home for many workers in Seoul because of its close proximity, and for the beautiful mountains and scenery that surround Anyang. Shielding it from the larger urban centers nearby. 1963: a ferry sank near Seoul drowning 37 children and 12 adults, the majority of whom were school children from Anyang who were returning from a picnic. 1964: Three people were killed and 100 injured in an explosion of artillery duds in an Anyang workshop. 1973: Anyang is granted city status. 1977: A flood devastates the Seoul region killing 335, including 148 in Anyang and adjacent areas. Anyang Technical College opens. 1986: Anyang Stadium was completed. 1991: Police forced their way into Anyang Prison Hospital to retrieve the body of Labour Leader Park Chang-soo who they believed had committed suicide by leaping from a window. It took nine hours to get past the 1,500 protesters who were protecting the body in the belief that he had been murdered and that the police were trying to consist a cover-up. 1995: Former South Korean president Chun Doo-hwan was placed in Anyang Prison as he was to be indicted on charges stemming from a 1979 mutiny. 1996: Anyang LG Cheetahs, a football team, was relocated to Anyang and took on the name of their new home. 1997: Chun Doo-hwan is freed from Anyang Prison. 2000: Anyang LG Cheetahs won the K League. 2001: Anyang City officials tell Komachi Japan, not accepting seventeen Komachi exchange students due to the content of Japanese text books on the Korean War distorted. 2004: Anyang LG Cheetahs is relocated by owners to Seoul. 2007: In September, the 23 Korean hostages, held captive by Taliban insurgents in Afghanistan are freed and upon their arrival are taken to Sam Anyang Hospital. Hye-jin Lee, 11, and her friend Ye-seul Woo, 8, went missing on Christmas Day in Anyang. Lee's body was found on a mountain in Suwon 77 days after the children went missing. 2010 and 2011: Anyang Halla won the Asia League Ice Hockey Championship. 2013: FC Anyang was established. 2013: The 12th Anyang Citizens Festival was held in Pyeongchon Central Park. This festival celebrated the 40th anniversary of the Anyang. 2016 and 2017: Anyang Halla won the Asia League Ice Hockey Championship. 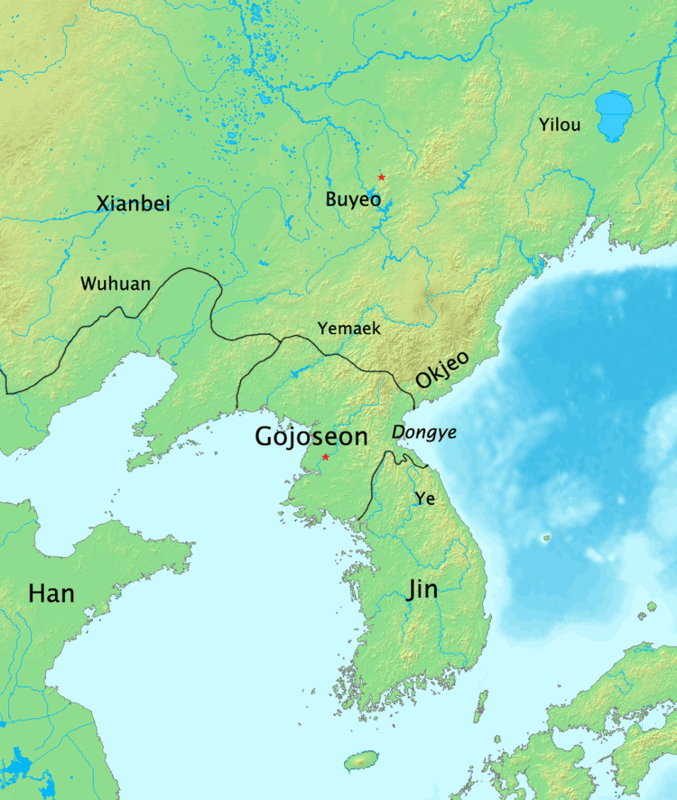 Like most cities in Korea the population is made up almost entirely of ethnic Koreans. In 2007 there were 624,197 Koreans resident in Anyang (311,702 males and 312,495 females), and 6,491 non-Koreans (3,148 males and 3,343 females). Non Koreans were Chinese (4,706), Vietnamese (315), Americans (283), Filipinos (168), Japanese (147) and British (21), and others (771). Among others, there are Israelis. The city is divided into 31 further subsidiary districts ('dong') subdivisions of cities and counties in South Korea. *Figures based on resident registration figures made available by local government offices. In early 2010, previous Anyang mayor, Phil-woon Lee announced plans to build a 100-storey city hall. It was thought that it could house a hotel, cinemas, shopping complexes and other facilities. Lee said a 100-storey city hall should be constructed in Anyang. However, the plans garnered negative responses from both central government and local residents. Several other local governments recently built new city hall at great tax payer expense. That was after Anyang's twenty-first mayor Dae-ho Choi got elected as he started controlling the city development. Other recent major redevelopment plans have built down several buildings in Anyang. Particularly, the Manan Gu area run down apartment buildings on highly valued land within walking distance of Anyang Station. Many workers from Seoul are residents in Anyang, commuting daily between Anyang and Seoul. There are 1,194 companies based in Anyang City. An area encompassing a 3 km section from Myunghak Station to Indeogwon Station to Kwanak-ro was appointed as 'Anyang Venture Valley' in November 2001 as a part of an effort to support venture companies. There are currently 6,300 people working in 238 companies and venture companies facilities including Anyang K-Center and Manan Venture Center, Pyongchon IT Venture Center, Kumkang Venturetel and Delta Venture Center. Anyang City Hall has a project named 'Anyang Art City 21 Project' which aims to create "a beautiful city, an art city and a well-being city by adding virtuosity to the exterior of city buildings and harmonizing the city sight with natural environment". Anyang Public Art Project takes place in the city of Anyang, an ultramodern and rigidly planned satellite city roughly 25 km south of the South Korean capital Seoul. 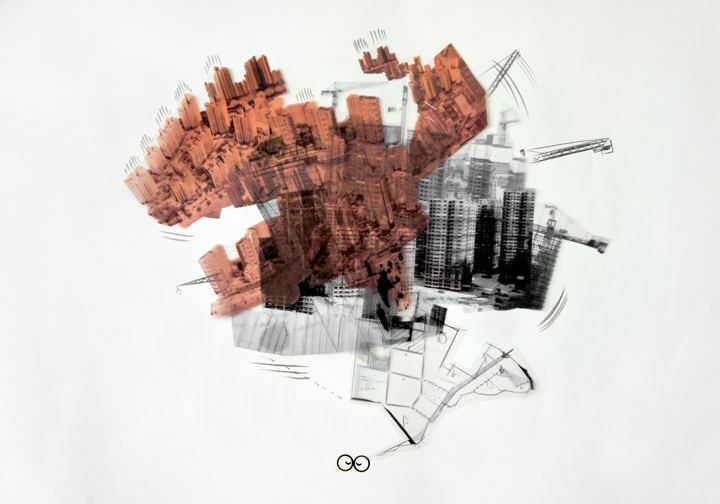 Established in 2005 and currently ongoing, Anyang Public Art Project (APAP) is a scaled, multiyear plan to turn the entire city into an art park. 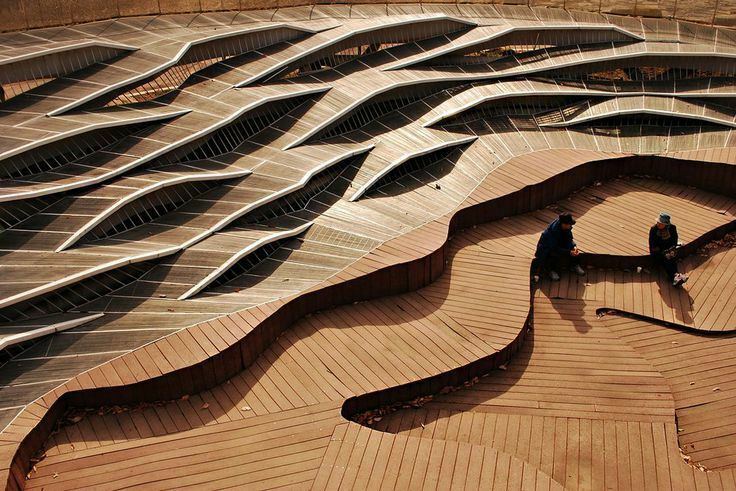 "Kim chung-up Museum" is in Manan-gu, Anyang 'Leisurely Industries' factory in Anyang remodeling the building in the seoksudong, Kim chung-up is designed for the masters of Modern architecture. Kim chung-up is the French Embassy, samilro building, as well as of the statement left a big achievement as a peaceful country first generation of architects people. 'Leisurely Industries' plant has a unique shape such that grafting a piece jakpeum the factory building as his early works. He is currently designing a building of Kim chung-up tubes and pipes, such as culture, enjoy four existing copper and are also used as exhibition and office building renovation. Kim chung-up's place so that the museum is able to understand the history and roots of Anyang to meet masters of modern architecture and at the same time buy in Anyang, Anyang it will serve as a multi-cultural space for its citizens. The city is home to the well known Anyang High School of Arts which has produced many nationally and internationally known pop entertainers including Rain and Seven as well as F.Cuz Jinon, Kan, Wonder Girls' Kim Yubin, KARA's Park Gyuri, Yejun, BEAST's Yong Junhyung and MBLAQ's Yang Seung Ho. Anyang also has the country's only Singing Road, which is made from grooves cut into the ground, which driven over causes a tactile vibration and audible rumbling transmitted through the wheels into the car body. Drivers can hear the tune of "Mary Had a Little Lamb", and the road is intended to help motorists stay alert and awake. Famous figure skater Kim Yuna was not born in Anyang, but later moved to Gunpo, a smaller neighboring city to Anyang. Rising international violinist Kyung-Jun Kim was born and raised in Anyang during his early ages, and went abroad to study further classical music in the North America. Anyang has 17 weekly newspaper publishers, one television program provider and one general broadcaster. The city also has 23 book publishers. South Korea's largest motion-picture studio is located in Anyang. In 2011 a film about Anyang won the Korean Feature Competition, at the Jeonju Intl. Film Festival. Titled "Anyang, Paradise City" and directed by Chan-Kyung Park it is a story portraying the past and present of Anyang City "with a mix of documentary and fiction". As of 2007 Anyang has 84 kindergartens (6,685 students), 40 elementary schools (48,639), 24 middle schools (29,084), 22 high schools (31,259), two junior colleges (17,638), three universities (13,634) and one school for the disabled (244). The universities include Anyang University, Seonggyeol University, and Gyeongin Education University, while the colleges are Daelim College and Anyang Technical College. Gyeongin National University of Education is also nearby in the mountains. In addition there were 1,026 private educational institutions listed in 2008 with 97,289 students in attendance. These are predominantly after school academies where students go to get additional study or complete homework in a variety of subject areas such as English or Maths. The main area for these institutes is 'academy street', known locally as 'hagwon ga', which is located a few kilometres directly to the south of Anyang Central Park in Dongan Gu. Anyang has six public libraries (PyeongChon library, Suksoo library, KwanAk library, BakDal library, ManAn library, HoGye library, BiSan library, Children library). Anyang is home to the Anyang Halla ice hockey team who play in the Asia League Ice Hockey. They won their first Asian hockey league title in 2010 and were the first Korean team to do so. Anyang is also home to the Anyang KGC basketball team, playing in the Korean Basketball League. They won the league for the first time in 2012. Anyang founded its own professional football team in 2013, FC Anyang, who plays in the K League Challenge (the second division of the K League). The team replaces FC Seoul who were based in Anyang and were known as the Anyang LG Cheetahs before being controversially relocated to Seoul in 2004 for commercial reasons. FC Anyang are a citizen team, funded by the city council along with sponsorship money from principal sponsor, Kookmin Bank. All three teams play at the Anyang Stadium complex. Sporting facilities in Anyang include the Anyang sporting complex (which features a stadium for athletics and football, an indoor ice rink, a basketball stadium, and an open air and indoor swimming pool). The main stadium was built in 1986 and seats 18,216 people. Anyang also has an inline roller skating stadium which hosted the 2006 World Roller Speed Skating Championships, and an inline skate rink in Pyeongchon at Anyang Central Park. There are also numerous council run outdoor basketball courts and football fields in the city of Anyang, along with those on school land. There are many museums, parks and ancient remains in Anyang, although due to its location and relatively low profile Anyang City does not attract many international tourists. The majority of visitors to Anyang's attractions are either domestic travellers or local residents. The main hotels in Anyang are Samwon Plaza Tourist Hotel, Sogno Hotel, Koam Tourist Hotel, the Anyang Blue Monte Resort & Youth Hostel all located in Manan Gu, and Central Tourist Hotel in Dongan Gu. The Anyang History Museum is located in Galsan-dong, Dongan-Gu, with the major theme of the museum being the displaying of the history and culture of the Anyang area. A site featuring the banner poles from a Joongcho temple is located in Manan Gu. They are the only banner poles in Korea from the period 827AD, and are so unique that they are designated national treasure no. 4. Anyang also hosts the collected writings of Toegye Lee Hwang (1501–1570) which were written to teach his follower Kwon Ho-Mun how to write (national treasure no. 548). Anyang also possesses dozens of nationally recognised 'tangible assets' including Manan Bridge, and the Maaejong rock engraving of a bell from the end of the Silla Dynasty. In addition Anyang contains the tombstone of Park Suh, a civil servant in the middle Joseon period, as well as dolmens in Pyeongchon, a stone chambered grave in Bisan dong, and a letter engraved in stone by Ji Woon Yong at Sammak Temple. Anyang hosts four festivals to coincide with the four seasons. The Spring festival begins at the end of May and is focussed around Anyang River. It is made up of a series of performances and "ecological experiences" alongside the river. The Summer festival takes place at the end of August at Pyeongchon Central Park and Byeongmokan Citizen Park. It involves a festival of wind instruments with contests, invitation performances and a parade. The Fall festival is at the beginning of October and takes place at Pyeongchon Central Park. It is a celebration of life in Anyang with a citizens festival featuring plays, food and markets. And many singers who(invited Anyang citizen festival) are performance for Anyang Citizen. The Winter festival occurs from December to February and is focussed around the indoor skating rink at the Anyang sports complex. The main features are ice hockey, short track ice skating and figure skating exhibitions. Anyang has 15 traditional markets and 4 shopping districts which include 3 department stores and 9 other large scale stores. Lotte Mart and Lotte Cinema are located next to Anyang Station. Anyang First Street is right across the road from Anyang Station and is a very popular area for restaurant, shopping, and nightlife. There are four movie theaters in Anyang and thirty nine movie theater screens. The CJ CGV theater is located near Anyang Station and Pyeongchon Station, DMC theater is located in New Core Outlet, and Cinus theater is located near Indeogwan. Other theaters is named Kinex 10. There are 7,617 listed restaurants in the Anyang area, along with 62 bath houses, 278 barbers, and 1,026 beauty shops. Anyang's nightlife is not compared to Seoul. People are more inclined to focusing on mountain views and river environments. As of 2007 there were 97 listed parks in Anyang covering an area of 1,347 square metres. The main parks in Anyang are Anyang Art Park, Anyang Central Park, Jayu Park (Freedom Park) which is south of Hagwon-ga and contains tennis courts, statues of important figures in the Korean independence movement, the Pyeongchon Art Hall, and the Children's Traffic Park, Hakwoon Park, Hogye Park, Byongmokan Civic Park, Seoksu Sports Park, and the Changbakgol water reservoir sports park. Anyang Central Park is situated between Pyeonchon Station and Beomgye Station. 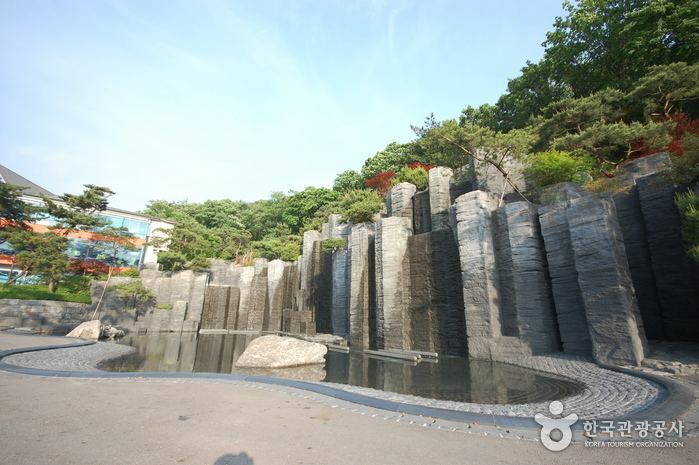 It contains a series of fountains that flow around the centre of the park with modern art sculptures alongside as part of the Anyang Art Project. It also contains an outdoor stage which holds aerobic classes, tennis courts, a playground, a croquet lawn and various other areas for sport. In the weekends the street dividing the park is closed for a flea market. In 2007 there were 16,311 reported cases of crime in Anyang. There were 13,771 arrests made during the same year. In 2008, there were 20,854 crimes. The following year, there were 16,990 crimes. However, the recent installation of new CCTV has led to the crime rate decreasing. In 2013, Anyang (along with Busan) was listed as one of the most polluted cities (in terms of air pollution) in the world's largest economies, with nearly 70 micrograms of particulate matter of less than 10 micron size per cubic meter. A huge redevelopment is proposed for the Manan Gu area, beginning in late 2010, with the focus on urban renewal. The proposal would see the building of approximately 24,000 apartment units built over an area of 1,776,000㎡ and see the destruction and redevelopment of the area around Anyang Station. The Graduate School of Architecture, Planning and Preservation at Columbia University, in conjunction with the Anyang Public Art Project 2010, has had its students working on concept plans and designs for the redevelopment of the Hogye Apartments in Dongan Gu. Anyang has many medical facilities, including four general hospitals (Metro Hospital, Sam Anyang Hospital, Hallym University Sacred Heart Hospital and Hansung Hospital), five hospitals, 331 clinics, 191 dental clinics, 141 oriental medical hospitals, two health centres and two long term care hospitals. Anyang is well served by bus, subway and rail services. The intercity bus terminal is located directly opposite Anyang Station which was first opened in January 1905. It was rebuilt into a large, modern building, which reopened in December 2001 and is adjacent to Lotte Department Store. It takes approximately 40 minutes on line one from Anyang to Seoul Station. There are six other stations ( Beomgye, Pyeongchon and Indeogwon on Line 4, and Myeonghak, Gwanak and Seoksu)in Anyang, three on line one and three on line four. While technically not in Anyang itself the Gwangmyeong Station is located less than 10 minutes drive to the northwest of Anyang Station and essentially exists to service Anyang city and other nearby cities. Thus, when you take on KTX, Gwangmyeong Station or Suwon Station is useful. In 2007 there were 188,423 vehicles registered in Anyang. During the same year there were 1,351 recorded automobile accidents resulting in 32 deaths, and 2,150 injuries. There were also 59,185 traffic offences recorded in 2007, the majority of which were committed by passenger vehicles (39,773).